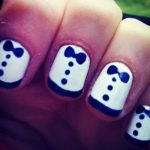 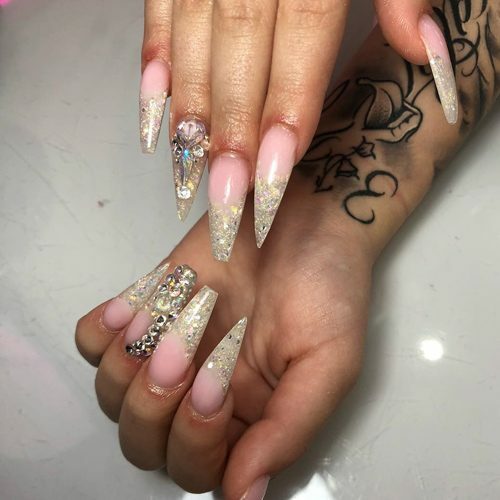 Danielle Cohn wears long stiletto nails decorated with colorful eye design and small studs. 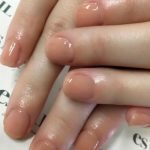 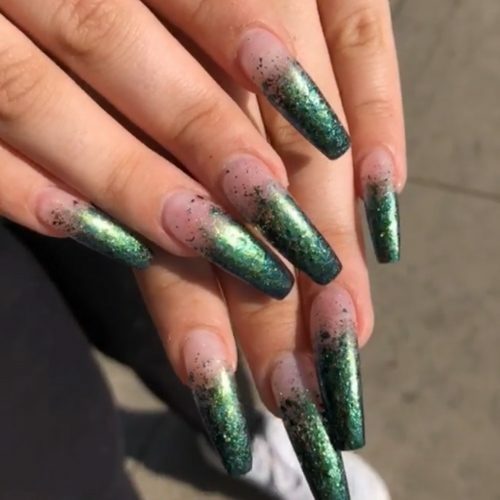 Danielle Cohn wears a special ombre-green manicure by Modern Pamper Salon. 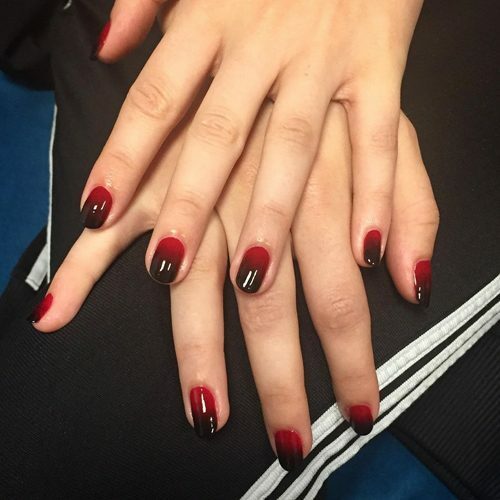 Charli XCX wore a beautiful gradient manicure in red and black. 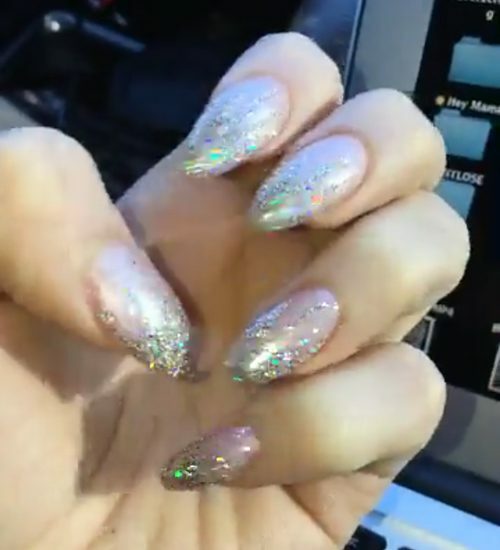 Madison Beer wears almond glittery ombré nails. 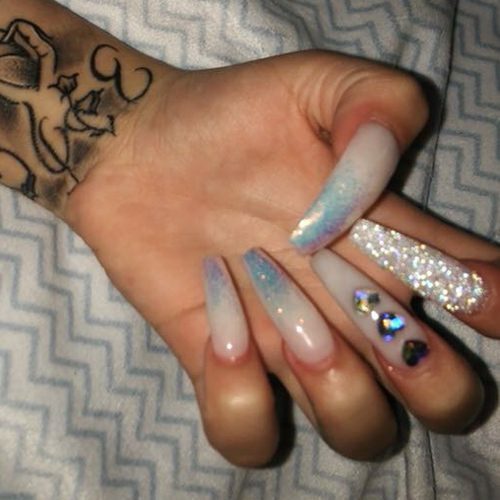 Danielle Bregoli wears long white nails with glittery ombré and jewels. 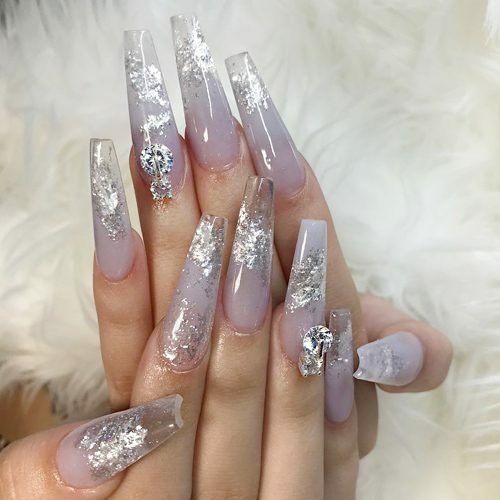 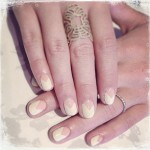 Kylie Jenner wears a charming ombré on two of her nails. 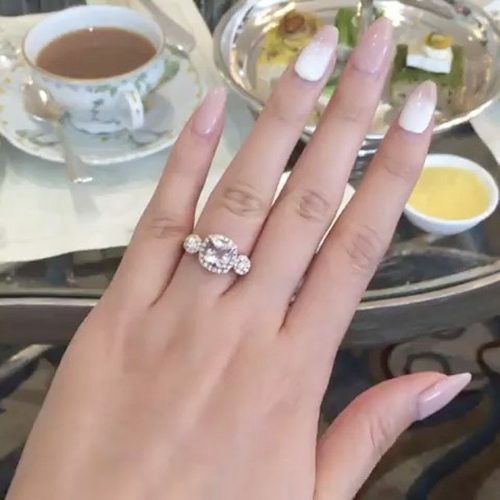 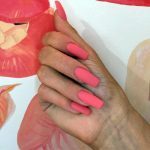 Kylie Jenner wears a beautiful soft ombré pink and white manicure. 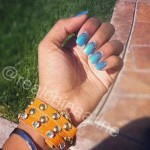 Debby Ryan wearing Essie nail lacquer in light blue and shimmery silver.